Eight perfectly matched, yellow Indoor biased bowls 3 7/8” diameter. 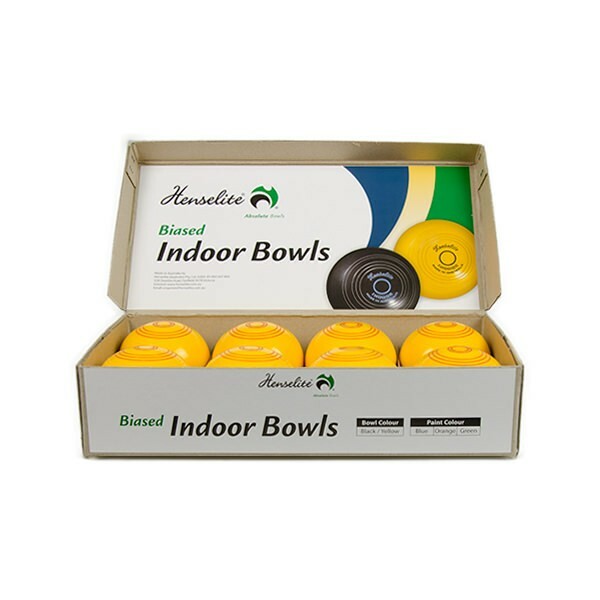 The game of indoor bowls requires bowls in two contrasting colours. Contrasting colours in sets of eight bowls: orange (recommended), yellow and black, sold separately. Jacks also sold separately.